A long time ago, in a climate that was bolder than today, a couple of Marvel comic book creators told their employers to 'p*ss off', so they could then do whatever they wanted to do next - created the Wildstorm Universe. Since then, however, Wildstorm has had a someone stormy time of it overall: reboots - cancellations - departures - and now being inserted in the DCnU. My mate Ben knows quite a lot about this you know. Here, check out this interview I had with him in a bar situated in a Daemonite village. 1) In your own words Joe, how would you define your site? Ben and I created www.wildstormaddiction.com as a place for Wildstorm fans to come together and support the books. It is a site created by the fans and for the fans. We both had followed the company since it began, and since been with it through all its ups and downs. It was a chance to share the love we had for these characters and this universe. That’s why when the imprint was shut down in December 2010, we thought that would be the end for our podcast. But now with the New DCU 52 integrating the Wildstorm Universe into the DC Universe, it gives us a chance to be part of one of the biggest comic events in history. With 52 books to pick from fans have to make a decision which books they’ll follow. We’ve decided to follow the books that have Wildstorm characters in them and try to promote them so more fans will give these less familiar characters a try. We hope this leads to these characters becoming DC staples just like Booster Gold, Blue Beetle, and Shazam did once upon a time. 2) If your site was a movie or a piece of music, what would it be and why? Oh, our site would definitely have a rock or heavy metal song. The Wildstorm characters have always been seen as darker and edgier so this type of music would be more appropriate. It’s this tone that set these characters apart for a long time before the bigger companies started making their heroes darker. 3) What motivated you to build a site like this? And what do you envision it becoming? As previously stated, the site was born out of our love for these characters. We envisioned it becoming the place to keep up with all things Wildstorm. 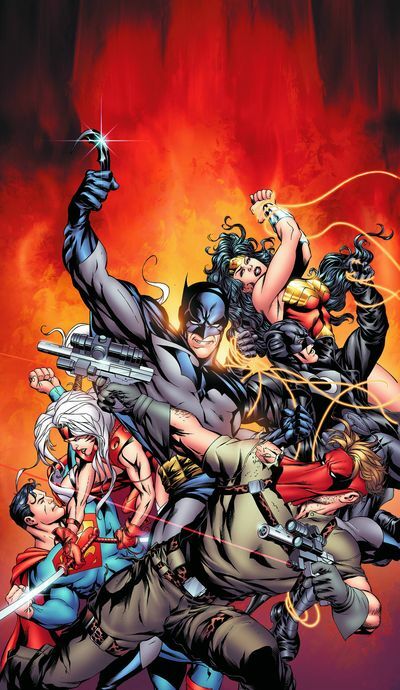 Now we envision it as the place to keep up with the integration of the Wildstorm Universe into the DC Universe. Plus we have a “sister” podcast called DC Wormhole which is part of The Cultural Wormhole website (culturalwormhole.blogspot.com/). Together, both podcasts cover a nice portion of the New DCU 52. So our goal is to a be a good source for fans to keep up with the titles. 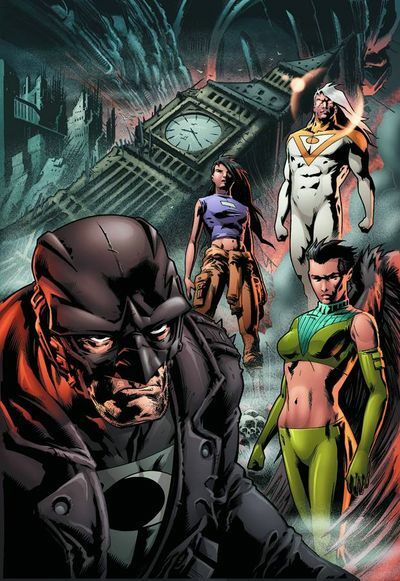 4) What is your opinions of the current Wildstorm clan in the DCnU? And is this a good or bad thing in retrospect? In a perfect world, I would have wanted the Wildstorm Universe to stay in its own separate universe. It had over 15 years worth of history built in, and it had become a very rich universe. The only problem was that the company had too many relaunches, and eventually the fans became burnt out by them. Also, with each new relaunch, fans grew more jaded and the sales numbers reflected the fact that more and more fans left each time. So it was inevitable that the imprint would close. But the good thing now is, not only do we have a lot of the characters (and hopefully more on the way) being integrated into the DCU, but these characters will also get more exposure as well. I know several fans who said they’d never try the books simply because they weren't DC. Now they are part of the DCU and the initial numbers have been better than any book featuring a Wildstorm character has been in a long while. It’s our hope that now that they are all part of the DCU proper, more fans will give these characters a try and see that they are worth it. 5) Gen 13 was always one of my most favorite reads back in the day. What was the first Wildstorm comic book you picked up? It was probably Wildcats #1, because I was coming off discovering Jim Lee on X-men and he had just helped form Image Comics. I had fallen in love with Jim Lee’s artwork on X-men and couldn’t get enough of it. After I backtracked and picked up as much of his X-men work as I could, I focused on getting what he was releasing through Image. Gen 13 was also one of my favorite titles too. I remember picking up Gen 13 #2 off the stands and loving it. At that time, #1 was already very expensive so I had to be content with the trade that came out later (it would be years later I’d finally pick #1). From then on I usually picked up whatever Wildstorm put out (of what I could afford of course). I followed them until the end. 6) Who is your favourite Wildstorm character / team? 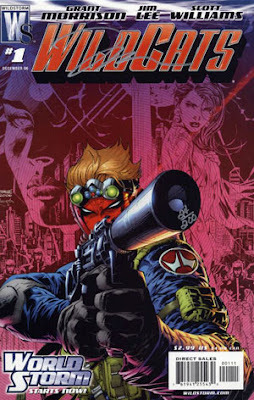 My favorite team would have to be the Wildcats, and Grifter is definitely my favorite character. Early on I realized that they were basically Jim Lee’s version of the X-men, but thankfully, Alan Moore’s work on the title, later on removed that aspect from this team. 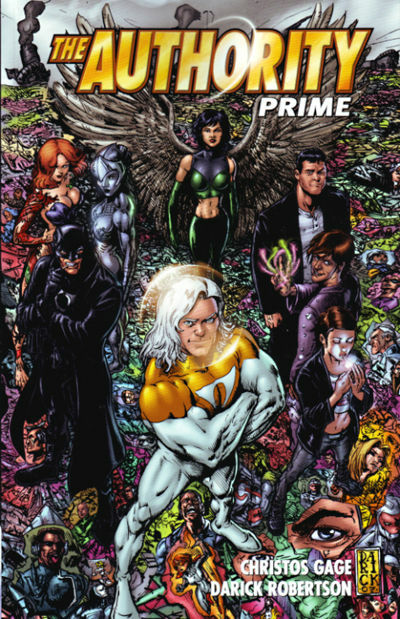 As more teams started showing up in the Wildstorm Universe like Stormwatch and The Authority, I realized that the Wildcats were not nearly as powerful. But it was this underdog status that drew me to the title. I loved what the team evolved into as we went from Vol. 1 to Vol. 2 and finally to the critically acclaimed Wildcats: Version 3.0. I have enjoyed the Grifter and Voodoo solo titles in the New DCU 52, but ultimately I’m hoping they lead into a new Wildcats title in the future. 7) If you could get a one to one with Jim Lee, what would be the first question you asked him and why? I would ask why Wildstorm never seemed to be his primary focus. It seems that after he took his company to DC, he left his company in too many other hands. Some of the decisions made hurt the imprint and it seems that this is what led to its closing. Obviously he does have some interest in his company otherwise we wouldn't be seeing Wildstorm characters in the New DCU 52. But I would just want to pick his brain and understand the true story behind a lot of the decisions. 8) Same question as above, but about Dan Didididididididio instead. I think with Dan Didio, he seems to be the business man of the group. So I’d have more business-oriented questions for him. For example, I’d want to know the inner-workings of the company like how much does it cost to produce an issue? Is there a minimum number of issues that have to be printed to be feasible? With the massive amount of issues that are on the market, do they release issues knowing that the probability of them failing is more apparent than other titles. Those are the kinds of questions I’d ask Dan. 9) Love your Podcasts, how did you come about doing this? The podcast came about by chance actually. You see Ben and I had never met before we set up the podcast. Ben was a regular at the Wildstorm message boards, and also helped us with the Wildstorm Resource Wiki. He had put out a call to anyone who wanted to join him in a putting a podcast together. At the time it wasn’t something I thought I could do. But in 2010 when I came across the The Comic Addiction website (now defunct) and saw that they needed some help with written reviews, I contacted them about it. I had already been doing reviews on my own and posting them at different message boards. But this gave me a legitimate place to post my reviews and start building up some experience. The guys at Comic Addiction ran several podcasts but it was their Image Addiction podcast hosted by Chris Partin and Mike Smith that caught my attention. Image Addiction covered monthly Image books but also did a segment called Retro Reviews where they would review books from the early days of Image. This included Wildstorm books. Well, when I realized this I contacted Chris about letting me participate in the discussions. After that first podcast I was hooked. I had so much fun and after a couple of more appearances on the show I asked Chris if I could start a Wildstorm-centered podcast. I remembered Ben had expressed interest in the past so I messaged him about it. He was enthused about the idea and we put out Ep. 0 in April 2010 to test the waters and our own skills. That first episode turned out good and we decided to keep going with it, improving our quality and relationship as co-hosts as we went. We’ve been doing it now for almost 2 years and we love every minute of it. Here’s to hoping we’ll have many more podcasts in the years to come! So there you have it folks, www.wildstormaddiction.com in a can. When you have the time, check them out. Or alternatively, follow then on twitter, facebook, or Google +. It's could not hurt!